I feel other layers are represented, but are not present enough to be accounted for (such as chronology, review of media and public opinions, and analysis of scientific literature). 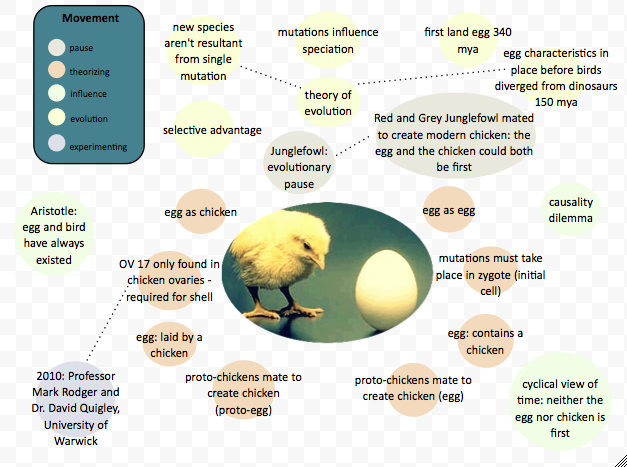 These could become visible with reference information to sources and further breakdown of some of the concepts. 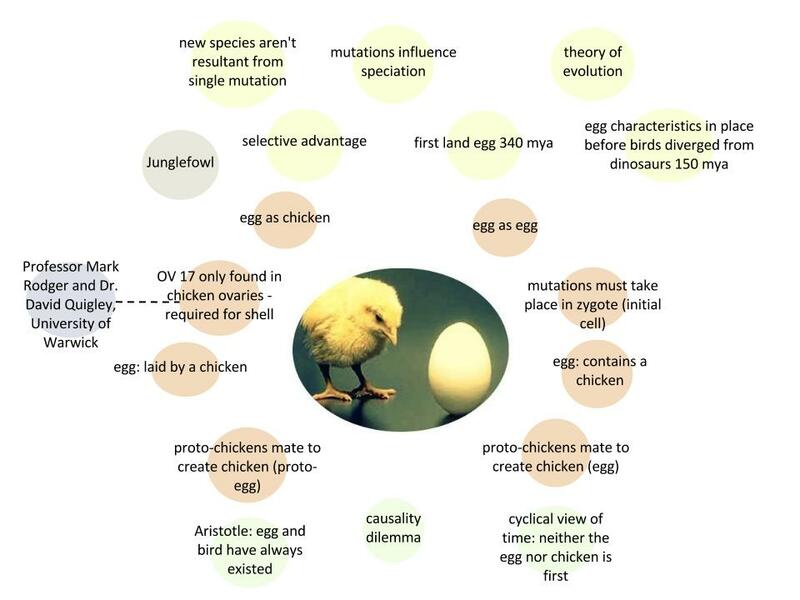 This is a small section of the controversy of “the chicken and the egg”, as debate over which came first has recently been stirred (scrambled?) based on ovocleidin-17 – a key chicken protein that helps in the formation of the egg’s hard shell in more accessible publications like Popular Science, and the animated YouTube science query series by Asap SCIENCE, as well as in research from the University of Warwick. Revised: Still not quite there, but working to create more logical organization. I have a feeling these do not describe the same type of link(ages) in their tracing (trace/traceability). I sure am glad Reassembling the Social came in the mail yesterday. OOO where ANT thou, grasp of concepts? how do ANT and OOO(P/R) relate? how to describe networks without them seeming rigid/fixed – a one time/one way connection? how do networks age/de-compose? remain active?